Cycling has become increasingly more popular, especially in areas like the Hudson Valley where the terrain is generally easy on the legs and the diversity of scenery always keeps things interesting. However, not everyone is opting for the super lightweight touring bikes or rugged mountain bikes with heavy duty suspensions. This week’s Doer and Dreamer is appealing to cyclists who may be taking a bit more utilitarian bent on their cycling or really like the idea of restoring an older bike and perhaps even having their ride customized for form and function. To each their own and we’re fortunate to have yet another option to enable people to take advantage of what this area has to offer while adopting a healthier lifestyle. 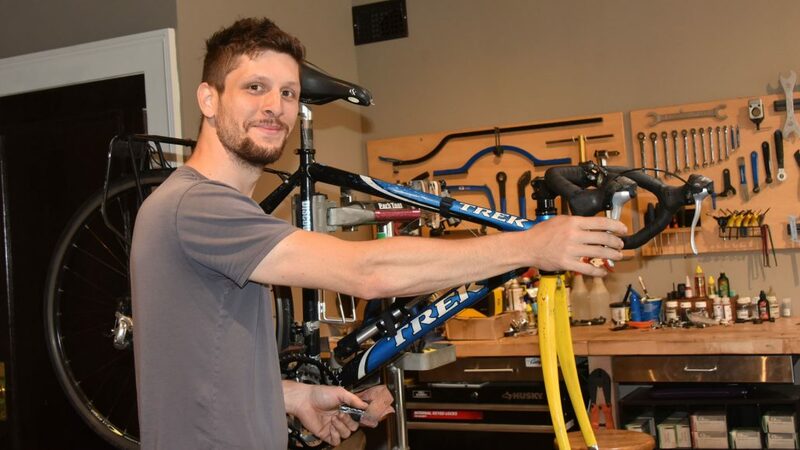 Utility Bicycle Works is a full service bicycle repair shop geared toward the everyday cyclist, emphasizing practical bicycle setups and offering an educational component to every customer interaction. I’m as excited to have conversations with customers about restoring their vintage ride as I am custom building a dream bike from the frame up. Older bikes can often be given a second life, so new is not always the best answer. I like to take as much time as the customer needs to make an educated decision that they are most comfortable with. Bicycles are works of art to me, and a perfect blend of form and function. I’m eager to share my experience and time with anyone who would like to know more. I grew up near Syracuse, NY before moving to the Hudson Valley in 2010. The friends I have here and the proximity to so much great riding (and milder weather ; ) are have what’s kept me here. We’re fortunate to live in such a scenic area, with so much to see and do. Kingston is definitely my pace. 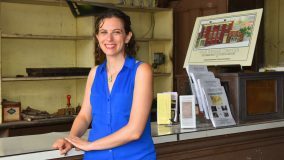 The sense of community here is refreshing, and word of mouth has promoted the shop quite quickly, reinforcing this closeness of neighbors, especially Uptown. 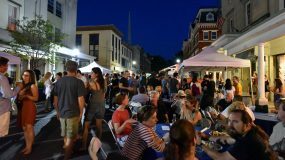 The way Kingston is laid out geographically is unique and unusual, with lots to explore. The diversity of the city is something Utility Bicycle Works was created to accommodate- a shop where all are welcome. Anywhere that I can ride to and explore. I particularly fond of the local rail trails, Kingston Point area, and riding through the Uptown neighborhoods at night. Riding a mile in any direction gets you a totally new vantage point of the city. When you’re not in Kingston,what’s your idea of a wonderful city to visit, and why? Any city that acknowledges bicycles as legitimate transportation, and respects them as such. In any older city once designed for pedestrians and horses, bicycles are a natural fit. Newer infrastructure, and appropriate spacial accommodations for bicycles, have proven already in many cities to allow vehicular coexistence. I’m glad to be a part of bicycle promotion. I’ve always secretly waned to do some sort of acting, especially voice acting.